Kate Jessica Raphael describes her novel, “Murder Under the Bridge, a Palestine Mystery,” as “the product of my imagination and experience – the experience and imagination of a white, Jewish American who spent around eighteen months in Palestine, with brief forays into Israel.” Her cast of characters also crosses the green line in the pursuit of love, which results in grave consequences. The mystery opens with the discovery of the dead body of a young Uzbekistan woman who traveled into the occupied territory to meet her Palestinian lover. Unfortunately, another man followed her to that fatal rendez-vous. In trying to solve the mystery, Palestinians, Americans and Israelis not only learn about themselves, but also about each other’s lives. Chloe, an American Jewish lesbian, befriends Rania, a loveable Palestinian policewoman, and, later, falls in love with a beautiful Australian Palestinian, Tina. Regrettably, in keeping the quick pace of the novel, Raphael never takes the reader into Tina’s consciousness to examine the pressures experienced by Palestinian lesbians. In contrast, Rania discovers a great deal in both her professional and domestic life, and learns to trust others. Her efforts to identify the murderer also teach her to assert herself. While not all of the details ring true, such as Rania’s removal of her head scarf in order to be treated like a colleague in the office, or the villagers’ need to become educated on the ramifications of the wall, these constitute minor quibbles in an otherwise engaging novel populated with strong, empathetic female protagonists. 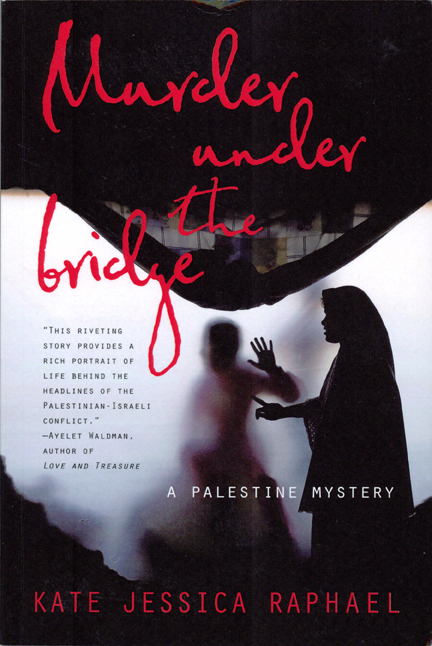 In addition, although a Palestine mystery, “Murder Under the Bridge” presents readers with a crime that exposes the harsh plight of illegal foreign female workers in Israel and the corruption that leads to their abuse.